Decorate your guest room in style with the beach Asteria Cal King Duvet Set. 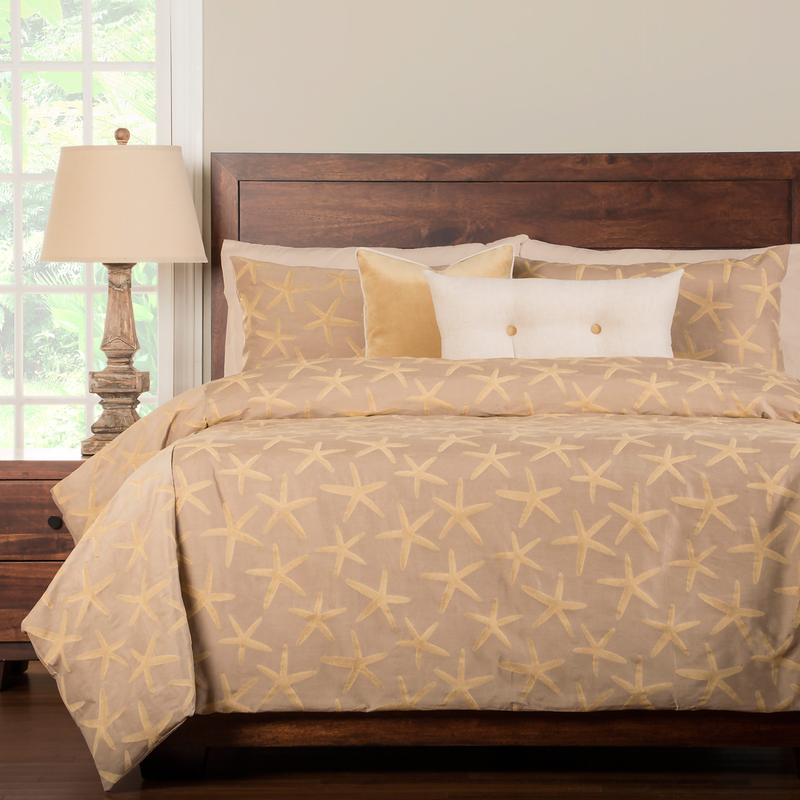 These coastal bedding sets are embellished with an elegant motif of yellow sea stars over a dark sand background. Ships from the manufacturer. Allow 1 week. Cannot express ship. For additional options, we ask you to take the occasion to shop our comprehensive collection of coastal bed sets at Bella Coastal Decor today.